We are No 1 Top Rated resume service in AB and across Canada, we have been in the market for more than ten years were we continued to provide the highest quality of service that includes professional resumes and full-scale employment support services that catapulted our client success. When you are choosing a professional resume writing company, you are not only getting a professional resume document, but you are being supported by the expertise of our full staff working together to assess your needs. Our services include ATS compliant executive resume document, fully developed LinkedIn profile, resume distribution support, interview training and coaching and career counseling services that make you stand out in a highly competitive market. 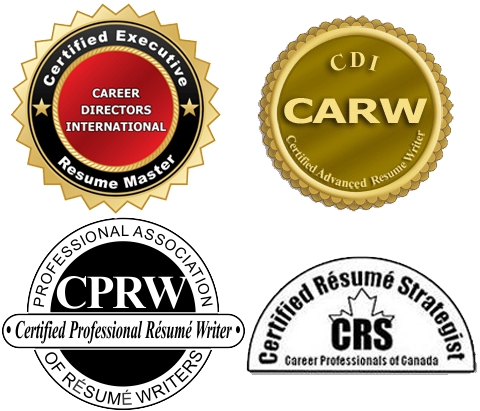 As far as a resume writing staff we provide more than experience; we hold international and Canadian professional resume writing designations that are recognized by associations across Canada and the USA. In the end, many competitors claim that years of experience is everything when the fact is working with a decorated professional resume writer can be the main contributor of whether or not you are getting job interviews and finding immense success in new fields you have never explored. Whether you are transitioning into a new career or looking to be promoted to a new job, our professional resume writers will help you to accomplish your career goals and get the job of your dreams. For receiving the best resume writing services, your best choice would be choosing an executive resume writer. Ideally, executive resume writing professionals would charge a premium price for their high-quality service, at Edmonton Resume Services our executive resume writing professionals does not only guarantee the best quality resume writing service that gets you results but also guarantees competitive prices that is unbeatable in the Canadian market.